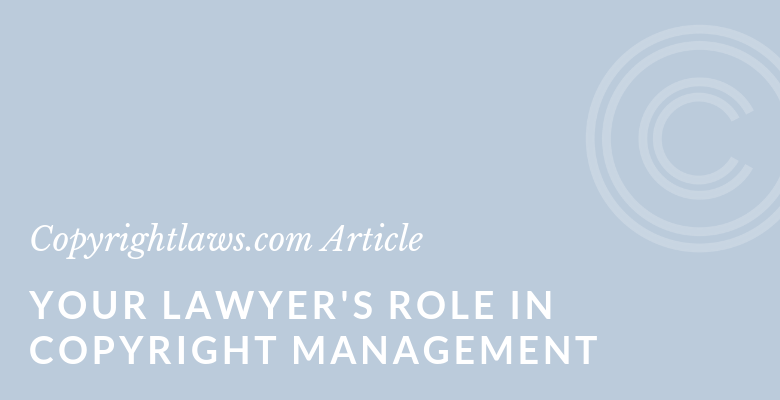 Your lawyer’s role in managing copyright issues is key to your role in copyright management. Managing copyright issues leads to copyright compliance. It’s usually undertaken on a day-to-day basis without consulting in-house or outside counsel. This post discusses both your and your lawyer’s role in managing copyright and copyright compliance. Also see A Simple Guide to Copyright for Librarians which discusses the role of the librarian versus that of a lawyer in copyright management issues. Is infringing copyright becoming riskier? It’s hard to say. Two court cases which remain in many corporate counsel’s minds in the U.S. concern Knowledge Networks and Legg Mason. Knowledge Networks, a U.S. market research consulting company, paid $300,000 USD for distributing copyright-protected articles and research reports to employees via e-mail newsletters. The company had been forwarding articles from publishers such as Reed Elsevier and the Associated Press without obtaining licenses or permissions. In Lowry’s Reports v. Legg Mason, a jury awarded $19.7 million US in damages to Lowry’s Reports, Inc. for copyright infringement by Legg Mason, Inc. In this case, Legg Mason had purchased one subscription of “Lowry’s New York Stock Exchange Market Trend Analysis” newsletter. Legg Mason employees copied, faxed and disseminated copies of the newsletter, and later posted an electronic version of it on the company’s intranet, over a period of several years. Face paying a copyright fee after using the copyright-protected work, or defending your organization in a lawsuit. Face public embarrassment by the fact you used copyright materials without permission. This may be especially damaging for a publicly-funded organization or an organization that either creates or promotes copyright-protected works. Need to stop using the non-cleared work(s). This may encompass actions such as removing an image from your website or re-printing a print publication that includes the work(s). Who will have access to the work(s)? — If you’re reproducing the work on the internet, it’s accessible to a huge number of people around the world. Budget — Analyze your budget for after-the-fact royalty payments, settlements out of court, court-related fees, and infringement-related legal advice. Political consequences — What are the political consequences of using materials without permission? Would bad publicity mean less public funding? What would be the message to the public about respect for copyright law? Insurance — Do you have insurance coverage for copyright infringement? Would this use be covered? How would this affect your coverage and premiums? Emotional impact — What are the “emotional” costs of a claim against you for copyright infringement? How would this affect your employees and governing body? Inconvenience costs —Weigh the time and inconvenience of dealing with an infringement claim against the advantages of using unauthorized materials. Your lawyer has a delicate role in copyright management. They need to find a balance between micromanaging copyright uses in your organization and avoiding copyright infringement. Take the time to discuss each of your roles and keep the conversation fluid and on-going. 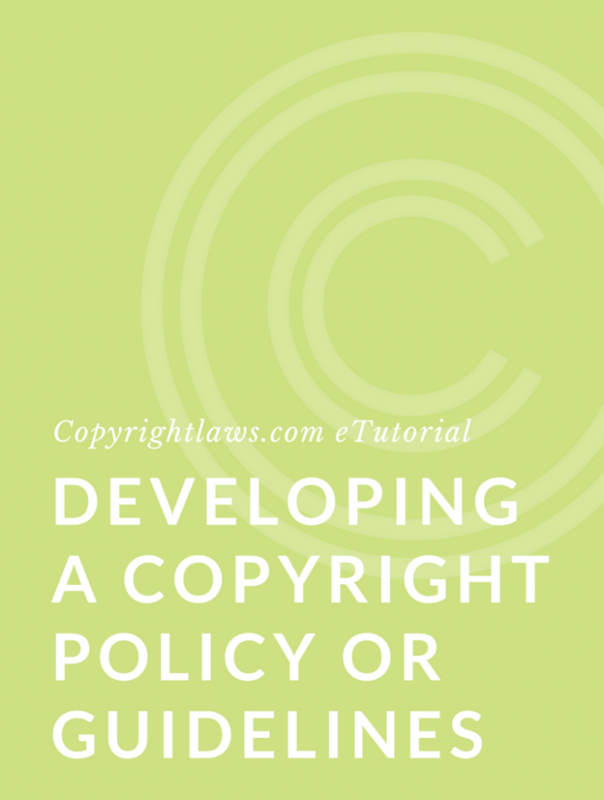 Work with your counsel to develop best practices to lower your copyright risks and take the time to understand what your is role vis-a-vis your lawyer’s role when it comes to copyright management and compliance. 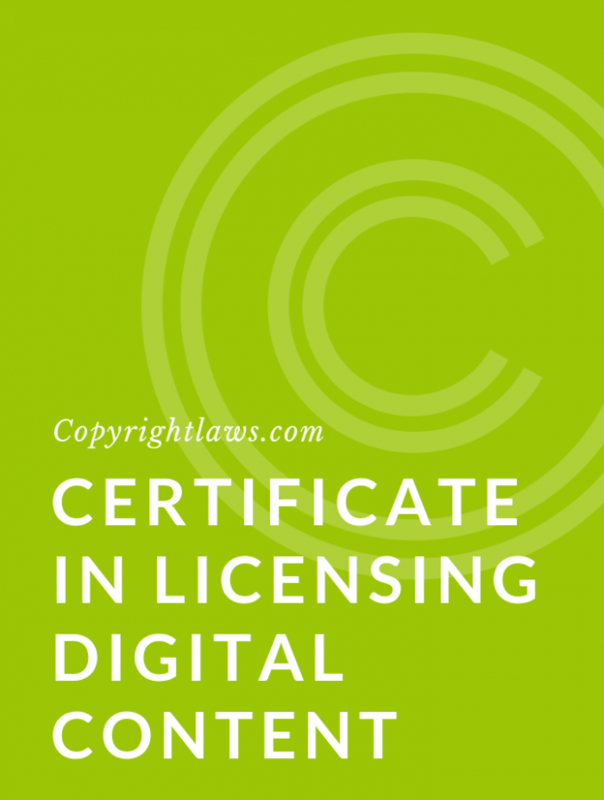 the principles of domestic and global copyright law, as well as practical tools and strategies you can adapt to your particular circumstances.